The Nintendo GameCube (ゲームキューブ), originally codenamed Dolphin and officially abbreviated NGC in Japan and GCN in North America, is a video game console released by Nintendo in 2001 as a successor to the Nintendo 64. It is a sixth-generation system, designed to compete primarily with the PlayStation 2 and Xbox and to a limited degree, the Sega Dreamcast. The GameCube was Nintendo's home platform of choice until the release of the Wii in 2006. The GameCube is considered to be one of Nintendo's least successful video game consoles, as despite high praise in regards to build quality and a strong line of first-party titles, a series of poor management decisions led it to be abandoned by many third party publishers within three years. Though more GameCubes were sold worldwide than Dreamcasts, sales lagged throughout the generation behind the Xbox in PlayStation 2 (though in Japan, the GameCube outsold the Xbox). The GameCube took a family-friendly approach to the video game industry, ultimately losing out on more "mature" titles and failing to attract the majority of the gaming public. Its use of proprietary mini-discs with less storage space also hindered development, and meant that unlike the PlayStation 2, the system could not play DVDs (though this was fixed in a special model, the Panasonic Q). On a technical level, the GameCube is widely considered to be more powerful than the PlayStation 2, but less powerful than the Xbox. As with the Xbox, the GameCube is said to have been inspired by the Dreamcast (and to some degree, the Sega Saturn), not only by the positioning of the features of its controller, but by the use of analogue triggers and the connectivity of the Game Boy Advance (in which parallels can be drawn with Sega's VMUs). The GameCube would evolve over time - the addition of the Game Boy Player giving it the ability to play Game Boy Advance games (and earlier Game Boy handheld games), and support for GameCube discs and controllers being added to the console's successor, the Wii. 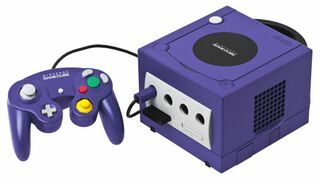 The GameCube could connect to the internet much like the Dreamcast, but very few titles made use of this technology and the modem needed to be purchased separately. Following the demise of the Sega Dreamcast, Sega spread its wings across all three of its console rivals throughout the remainder of the sixth generation. The Nintendo GameCube became the console of choice for Sega's family friendly games, the Sonic the Hedgehog series being more prominent on the GameCube than on other platforms. The retooled release of Monkey Ball, Super Monkey Ball took up residence on the GameCube before branching out to other platforms in 2005, as did successors to Phantasy Star Online - Phantasy Star Online Episode I & II (which saw a port to the Xbox in the following year) and Phantasy Star Online Episode III. The Sonic Team original, Billy Hatcher and the Giant Egg was released exclusively for the GameCube (and later PC), as was the only home port of Beach Spikers: Virtua Beach Volleyball and new ventures such as Amazing Island. Sega also joined with Nintendo (and Namco) at this time to create the Triforce arcade hardware, and its Amusement Vision division created F-Zero GX, a GameCube exclusive which became one of the most popular racing games on the platform. Like many publishers, Sega began to withdraw support by 2003, starting with its line of sports games, although it did not abandon the platform until the latter half of 2006. Sega are thought to have benefited from the GameCube in its early years of service, although by the middle of the decade, found itself supporting all three consoles in relatively equal measure (save for the PlayStation 2, which saw much greater support from the company in Japan, and the aforementioned sports titles).